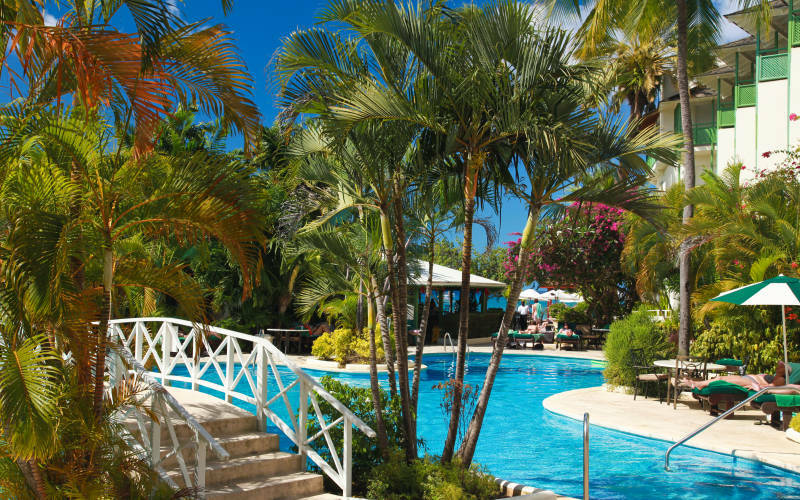 Mango Bay Barbados is located on the beachfront in St. James. 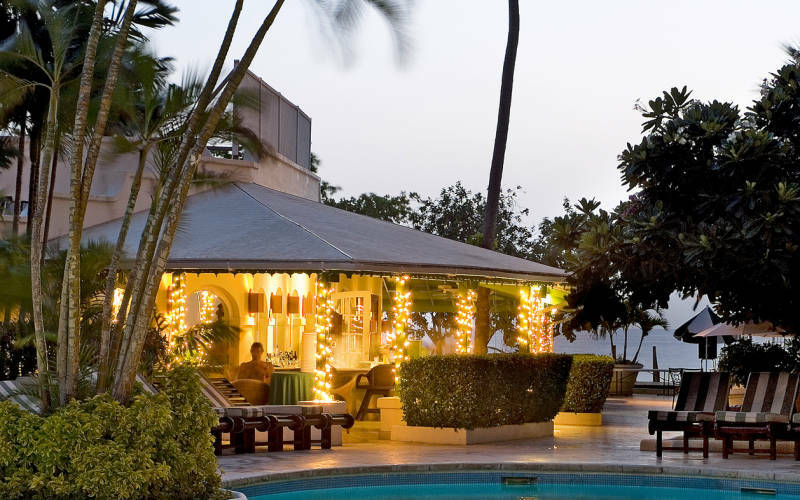 This intimate hotel is small offering a personal touch, but also offers great leisure facilities. 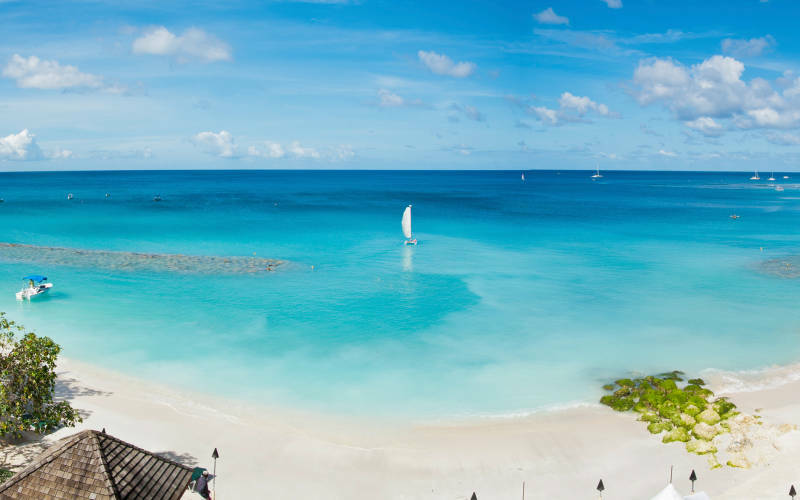 The restaurants, bars and boutiques of fashionable Holetown are just steps away, while golf is readily available on nearby championship courses, Sandy Lane and Royal Westmoreland. 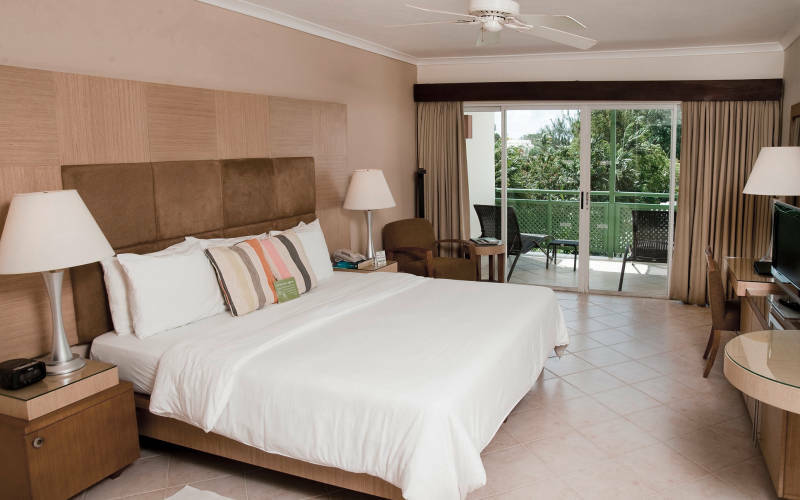 Mango Bay has recently done renovations and this has re-freshened the hotel. 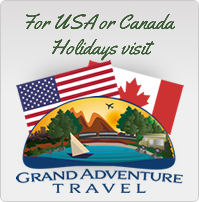 It is also great value and a great hotel for nightlife nearby. Superior pool view rooms or higher rooms have better views and perhaps they are also quieter. 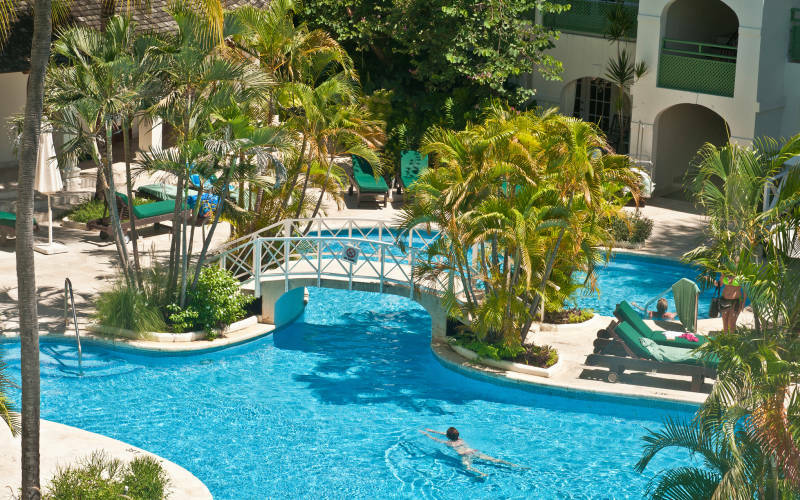 Bridgetown is a 25 minute drive away and transfer from the airport take about 40 minutes. 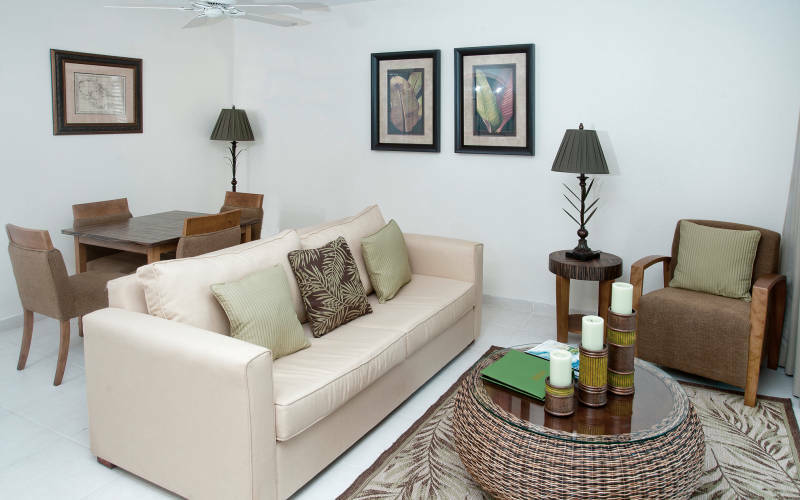 All of the 64 rooms are elegantly appointed in tropical style and boast private balconies or patios. 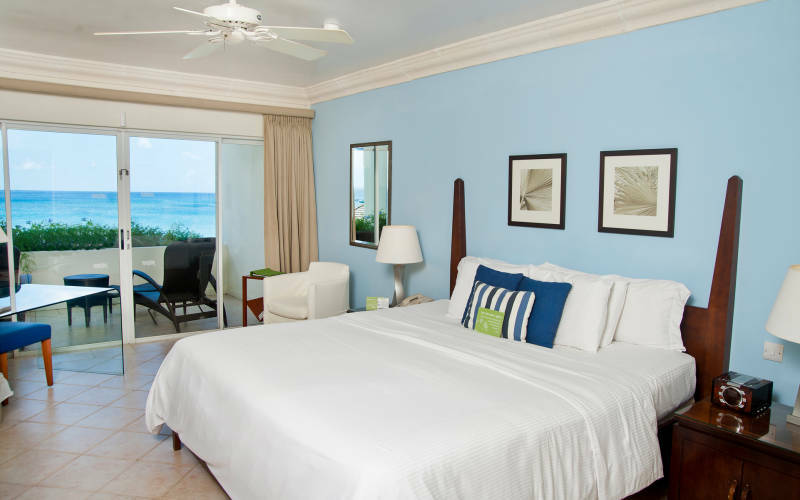 with views over the gardens, pool or the turquoise Caribbean Sea. Mango Bay Restaurant – This is the main restaurant located beachfront and offers buffet or table d’hote dining each evening. It offers a fusion between Caribbean and International cuisine. Enjoyable evenings are ensured by the nightly entertainment programme. Mango Bay Bar – serving a wide range of local and international beverages.